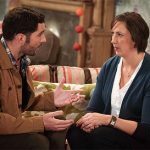 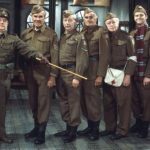 Dad’s Army, the Jimmy Perry/David Croft situation comedy about the British Home Guard during the Second World War, graced the BBC1 television airwaves for the first time in July 1968 running for 80 episodes over the course of 9 series. 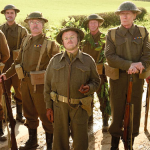 Royal Mail’s 2018 stamp calendar will, once again, showcase the “best of British” releasing special stamps each month during the calendar year. 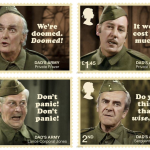 To mark the 50th anniversary of Dad’s Army, Britain’s primary postal service has revealed that the iconic British TV series will be featured on eight stamps to be released in June 2018. 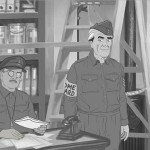 In addition to the June release, other months will pay tribute to the RAF Centenary (March), commemorate the conservationists who have reintroduced extinct species back into the UK with a ‘Reintroduced Species’ series featuring the large blue butterfly and the Osprey (April) and stamps in September to mark the centenary end to the First World War with images including the poppy image, war poetry and art, and a commemoration of the sacrifice of the armed services. 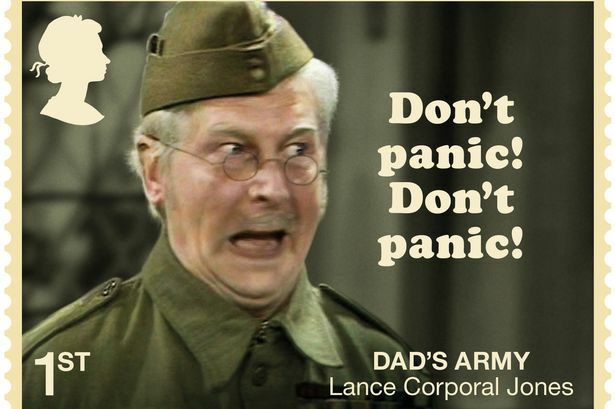 So, when Corporal Jones says “Don’t Panic”, he means it but just know you’re going to have to wait until June.